What If They Can’t See the Beauty? Let’s consider the heart-breaking predicament of Dr. Meriam Yehva Ibrahim Ishaq in Sudan. Meriam’s Muslim father abandoned her when she was 6 years of age and she was raised by her Orthodox Christian mother. She went to college, graduated from medical school and married a Christian who reportedly holds U.S. citizenship. After the couple had one son, Meriam’s brother lodged a complaint of adultery against her on the grounds that her marriage to a non-Muslim isn’t valid. The court later added the charge of apostasy for abandoning the Muslim religion that she never held. 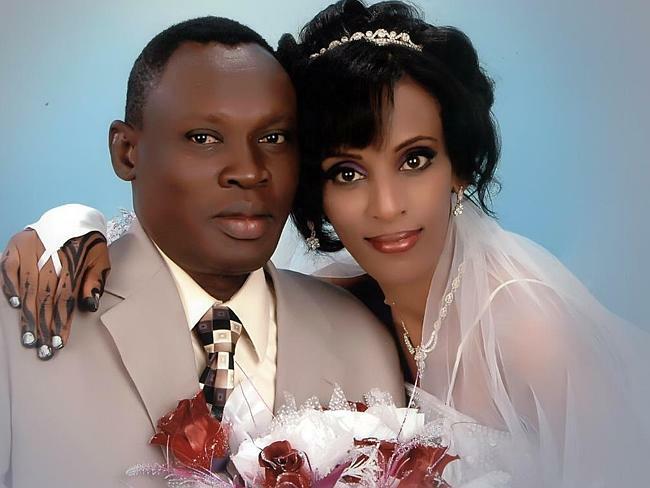 Now Meriam is eight months pregnant and in prison with her 20 month old son. The court will not release her son to his father. The plan is to wait tell Meriam gives birth, then administer 100 lashes for adultery and then hang her to death for apostasy. Of course the Islamists, with their interpretation of Shariah law, who contemplate complacently this treatment of Meriam are barbarous and earn our outrage and indignation. You might ask, “Do you mean to insult Muslims?” No, I do not. I understand that most Muslims are peace-loving and are not terrorists. I recognize also that atrocities have been committed by non-Muslim people of various religions and cultures. Moreover, all people (Christians believe) are created in the image of God, and should be treated with the dignity that is appropriate to that reality. But you might ask, “Do you mean to criticize Islam?” The answer: “You betcha!” The roots of the treatment of women as inferior to men are in the Prophet and the Muslim scriptures. The attitude that non-Muslims have no right to practice their religion or pursue their happiness unmolested: ditto. However, what has caught my attention in Meriam’s predicament is the perverse logic of Islamists’ interpretation of Sharia that has led the Sharia court, Meriam’s brother and others to defy Reality and not see the awesome realities that are right before them. Realities like: the love between Meriam and her husband, that no one can be converted to another religion solely by force without reasons, that carrying out the sentences will leave two motherless children, that Sudan needs medical doctors like Meriam, the sheer beauty of Meriam (faithful, skilled and principled) and then the laughable, if it wasn’t so tragic, absurdity of “Hey, let’s imprison a woman with her son until she gives birth, then publicly give her 100 lashes before Muslim men with impure hearts and then hang her until she’s dead!” Doubtless you can think of others. I can too, but I am tired of this post and have a more edifying one to write when I recover from the subject of this one. The point? No religion or worldview is adequate that leaves massive realities unseen. Please pray for Meriam and her family and Christians in many places being persecuted for their faith. Pray for deliverance, courage, powerful witness to Jesus the Christ and changed hearts. And you might call your congressperson, senator or Secretary of State John Kerry about Meriam Yehva Ibrahim Ishaq. This post was partly based on reporting in The Heritage Foundation’s “The Foundry” that originally appeared in “The Washington Times”.